Pool or swimming pool means any structure, basin, chamber, tank or other receptacle capable of containing an artificial body of water for the purpose of swimming, diving or recreational bathing and having a depth at any point of more than 18 inches. The pool can be located at ground level, above ground or indoors. Private swimming pool means any swimming pool located on private property under the control of a single homeowner or his tenant. It includes a pool or spa serving only a single-family home or duplex. Public swimming pool means any swimming pool intended to be used collectively by people for swimming or bathing. Such a term includes, but is not limited to, a swimming pool owned or operated incident to a multifamily dwelling project, nonprofit recreational facility, hotel, educational facility or fitness center. Spa means a pool designed for recreational or therapeutic use or physiological or psychological relaxation that is not drained, cleaned and refilled for each user. Common terminology for a spa includes but is not limited to therapeutic pool, hydrotherapy pool, whirlpool, hot spa and hot tub. Such spas are shallow in depth and not intended for swimming or diving. Wading pool means any special purpose pool or receptacle set aside primarily for use by children. Every year, thousands of residents in the City vacate, sell or abandon their homes. Many of these homes have swimming pools that are consequently abandoned along with the home, resulting in a dangerous safety and health hazard. When moving, consider the potential danger that you are leaving behind in a home with a swimming pool. Continue to provide electricity to the residence so that the pool can continue to execute its regular maintenance. Ensure that all gates and fencing enclosures are sturdy and in optimal condition. All gates must self-close and self-latch. If electricity is not available, consider investing in a pool cover. Algae present and water clarity violations. Gaps in main enclosure greater than four inches. 1. How do I obtain a residential pool permit? Refer to the Minimum Standards for Residential Pool/Spa Plan Submission. 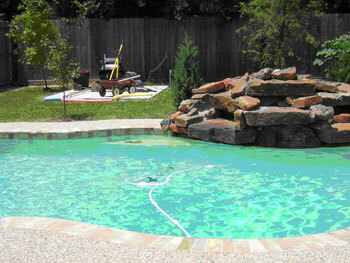 You or your pool contractor must take the pool plans to Code Enforcement at 1002 Washington Avenue, Houston, TX 77002. Go to the One Stop area located on the first floor. Office hours are Tuesdays and Thursdays, 1:30 pm - 4:00pm. For additional information, please contact the 3-1-1 Service Helpline. If calling from outside the City Limits, please call 713.837.0311. Or you can reach the Permitting Center via email at: houston.permittingcenter@houstontx.gov. 2. What do I do about my citation? You are able to receive fine amounts and court procedures at www.houstoncourts.org, by calling 311 or (713) 837-0311. 3. What happens during a pool inspection? It will be necessary for the inspector to enter the yard of the property to conduct a visual inspection, even if no one is home. The inspector will observe the clarity of the pool water, and the visibility of the main drain is noted. 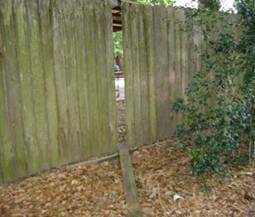 The inspector will examine the fence for broken gates, slats, or any gaps greater than 4 inches wide. The height of the fence must be at least 4 feet in all sections, and all gates must be self-closing and self-latching. Digital pictures are taken of all conditions and a report is generated. Every year, over 500 swimming pool violations are reported to our office. Many of these are repeat offenders. Accurate information is needed for our office to promptly initiate an inspection. There is a house, occupied or unoccupied, with a pool or spa that has not been properly maintained. 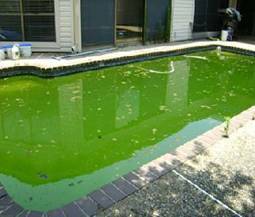 This can result in green or black water that may breed mosquitoes. There are any slats broken or missing from a fence surrounding a pool or a spa. This also includes both vacant and occupied houses. If a house or property has any type of outside above-ground pool or spa that is not enclosed by a secure fence. Correct address of the property. We need an accurate address to initiate an investigation. Brief description of the conditions. This includes the color and clarity of pool water, fence conditions and any information you believe to be pertinent to our investigation. Your contact information is optional, but frequently, additional information may be needed.